Joe Dorish Sports: How Much Money Do Canada Athletes Get for a Gold Medal at 2018 Winter Olympics? How Much Money Do Canada Athletes Get for a Gold Medal at 2018 Winter Olympics? The 2018 Winter Olympics are taking place this month from February 8-25, 2018, in Pyeongchang, South Korea. 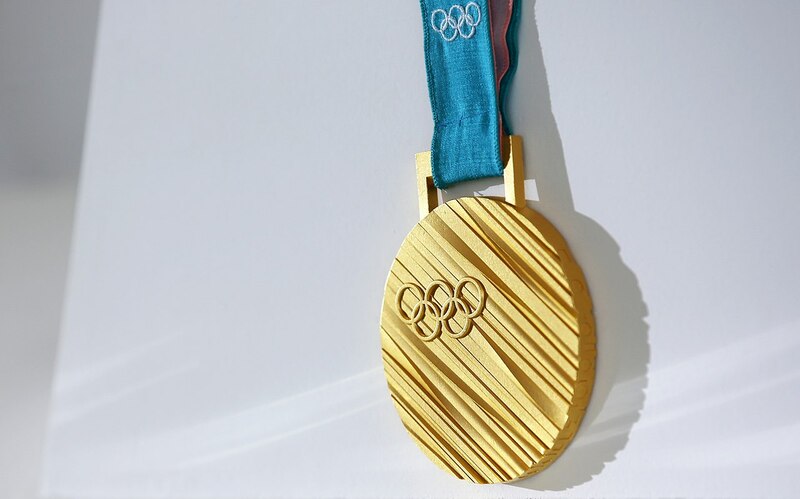 Each athlete from Canada who wins a gold medal at the 2018 Winter Olympics will get paid a set sum of money for the accomplishment. Here is how much money each athlete from Canada will get from the Canadian Olympic Committee Athlete Excellence Fund (AEF) for a gold medal. There are also payouts for athletes winning silver and bronze medals and those payouts are listed below the gold medal payout. For each medal payout the increase over what athletes got at the 2016 Summer Olympics is also listed. Athletes from Canada are expected to win 33 medals at the 2018 Winter Olympics. How Much Money Will Canada Athletes Get for a Gold Medal at 2018 Winter Olympics? Each athlete from Canada who wins a gold medal at the 2018 Winter Olympics will get a money payout of $20,000 from the AEF. That is the same amount of money each gold medal winner got at the 2016 Summer Olympics in Rio. All the gold medal winners will also try to parlay their wins into even more money from advertising and endorsement deals. Some will succeed spectacularly in this regard while others will not. For comparison purposes, gold medal winners from the United States will each receive $37,500 which is up 50% over what USA athletes got at the 2016 Summer Games in Rio. That's the same amount of money that silver medal winners from Canada got at the 2016 Rio Games. USA athletes who win silver will get $22,500 this year which is a 50% increase over the Rio Games. That's the smae amount of money that bronze medal winners from Canada got at the 2016 Rio Games. USA athletes who win bronze will each get $15,000 this year. Another 50% increase over the Summer Olympic payouts. Isn't it time for Canada to to raise the payouts to their Olympic athletes who win gold, silver and bronze this year at the 2018 Winter Olympics in Pyeongchang, South Korea? How Much Money is a 2018 Olympic Gold Medal Worth? How Much Money Will USA Athletes Get for a Gold Medal at 2018 Winter Olympics?